Getty announced a new embedding feature on its website that makes 35 million images free for non-commercial use. In the tradition of embeddable Tweets and video players, Getty Images has removed its image watermarks and made its stock photo collection free for non-commercial use. The embeds will make it easier for the company to track how its photos are being used — potentially mitigating the illegal use of copyrighted images — and modify its embed capabilities for user data collection and advertising placement similar to Google’s YouTube model. 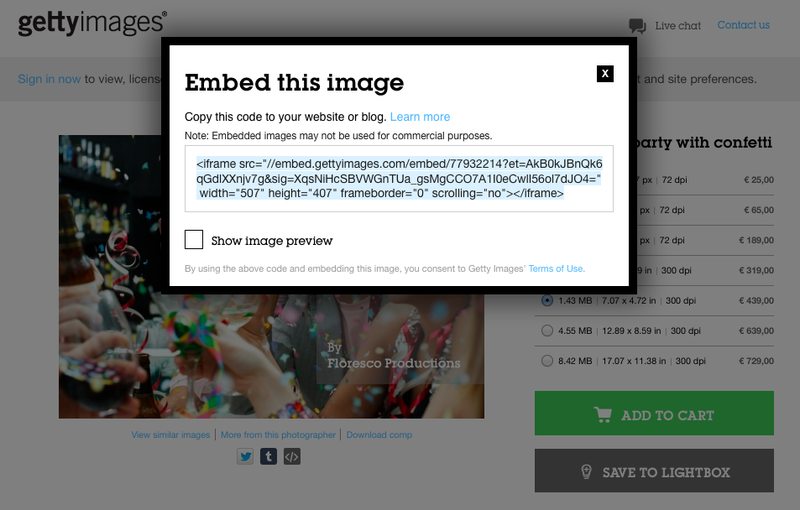 The new embeds strike directly at that kind of social sharing, with native code for sharing in Twitter and Tumblr alongside the traditional WordPress-friendly embed code. Peters’ bet is that if web publishers have a legal, free path to use the images, they’ll take it, opening up a new revenue stream for Getty and photographers. The Getty embeds include full copyright information and a link back to the licensing page on the Getty website. 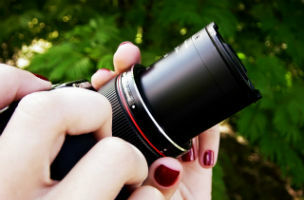 But people can still right click on images from the company’s customer sites or via search to copy and paste URLs into photo editors or grab screenshots. The embeds could make the practice even easier. For illustrative purposes only, the image below is presented in two ways. The first has been resized within the embed code itself; the second is shown according to its original parameters. The Verge aptly points to how an embed-powered Web will extend “webby decay,” or link rot, to images (evidenced at present by holes where Tweets and videos have been deleted from older blog posts). For now, Getty is concerned with the more immediate problem of infringement. Peters hopes that photographers will also see some benefit from valid licensing and attribution. Links back to the site provide more information about the photographer and how to license the image for commercial purposes. The free embeds are a risky move for Getty. It is yet to be determined whether the potential for new revenue streams will offset the traditional model’s inevitable financial losses. The company is known for aggressively pursuing cases of copyright infringement and has lobbied congress for increased protections. But the decision also reflects a forward-thinking approach to the realities of the modern Web.